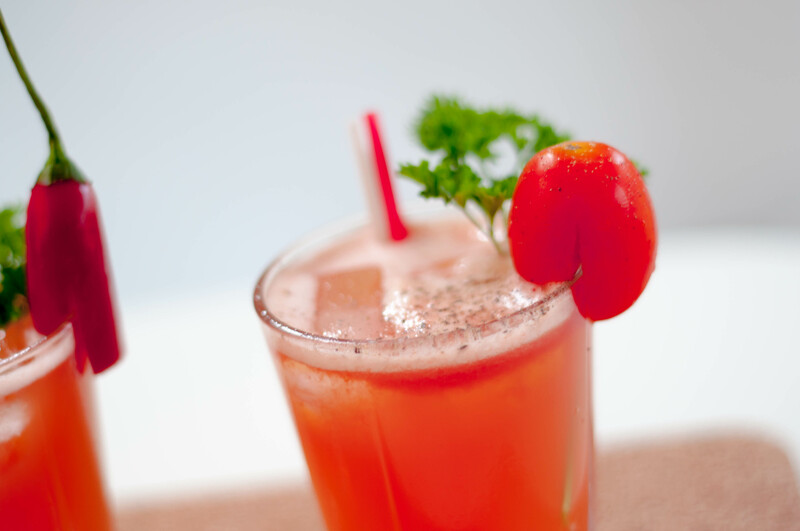 The Blushing Mary is a delicious twist on the classic Bloody Mary. 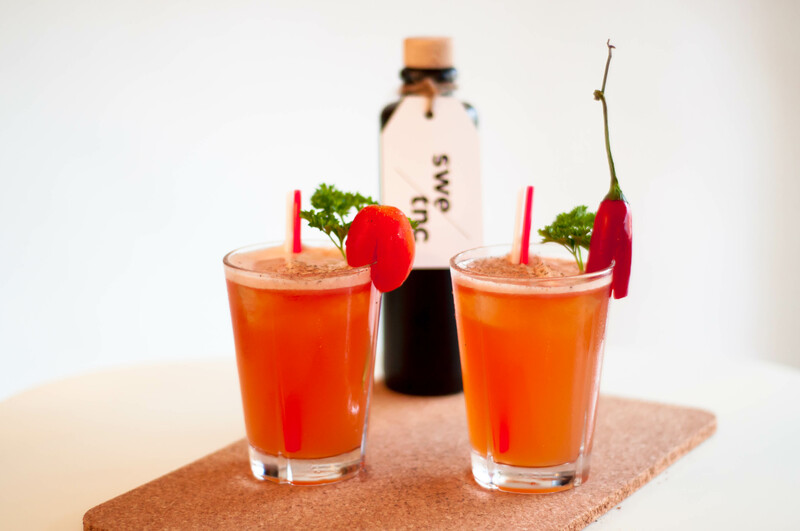 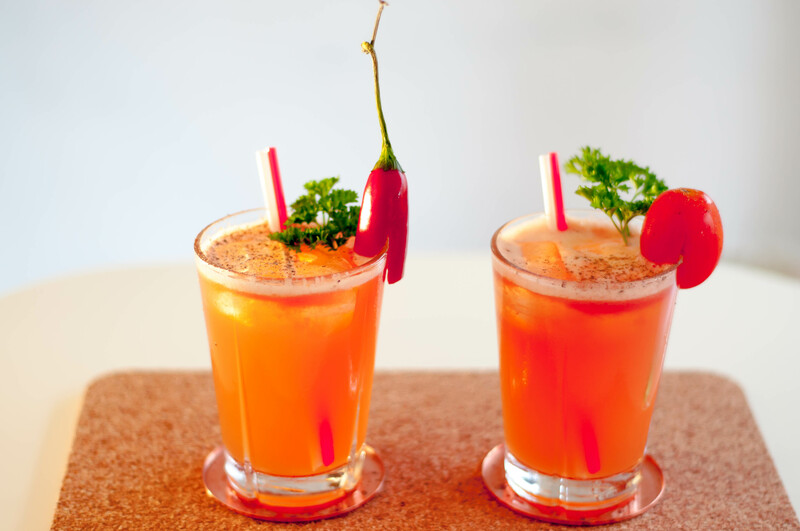 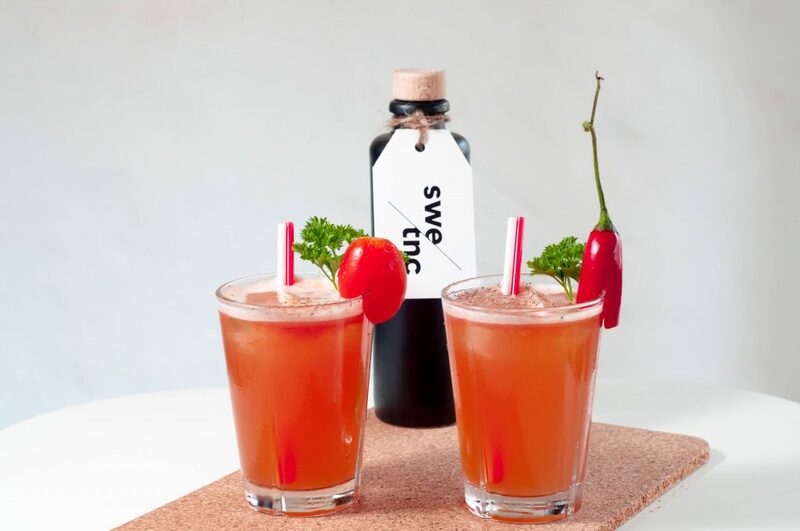 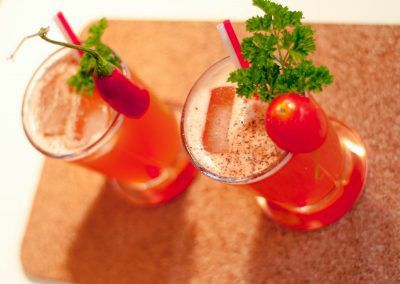 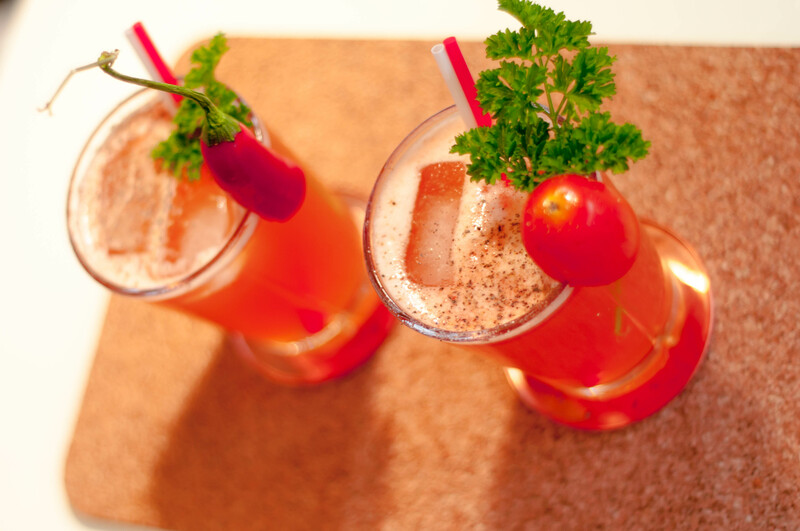 But instead of using tomato juice a combination of muddled cherry tomatoes and tonic water is used to make this Mary blush rather than bleed. 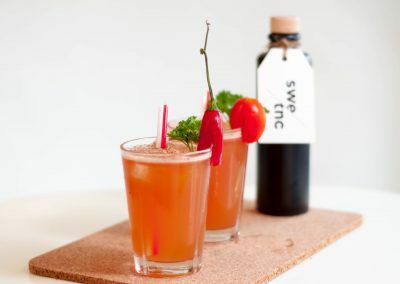 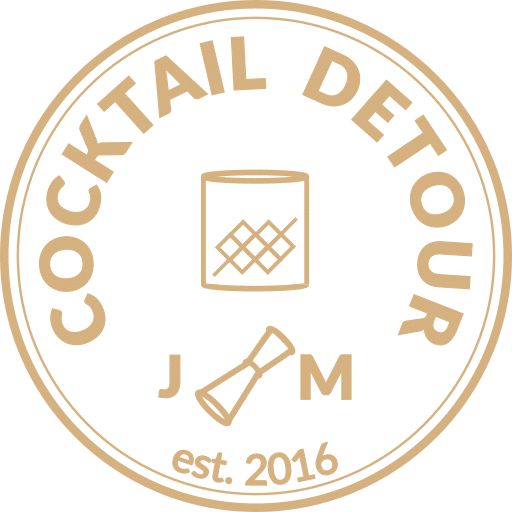 The recipe for this cocktail we found in Amy Stewart’s fact packed book The Drunken Botanist under the headline “Pepper”. 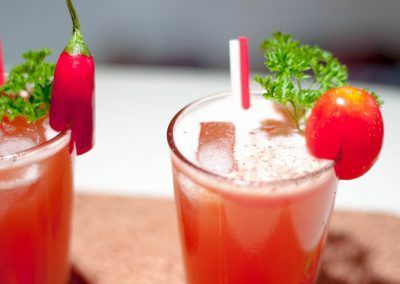 And yes, there is a hearty amount of hot pepper in the drink, but it’s obviously up to you to decide how spicy you want to go in the end. 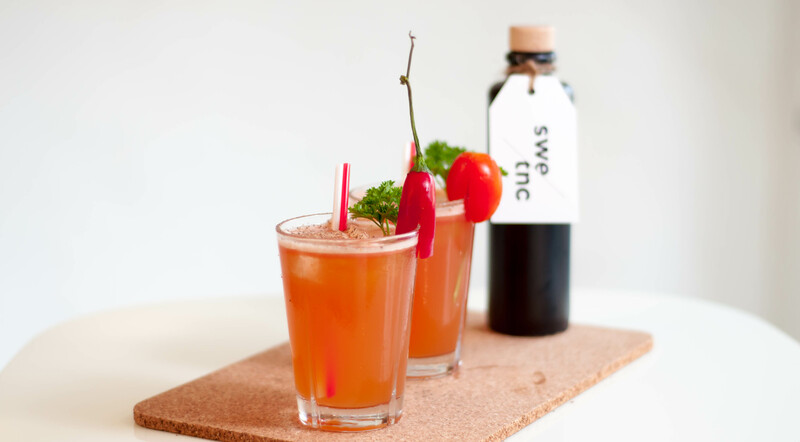 To make this cocktail go really premium we used organic cherry tomatoes, home grown parsley and high quality tonic from Swedish tonic. 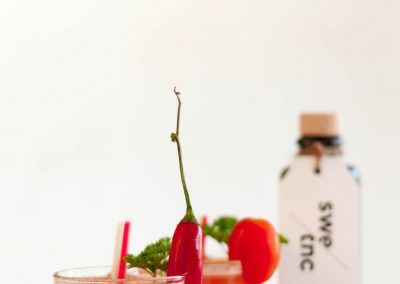 We garnished the cocktails with some of the green things also found in the ingredient list. 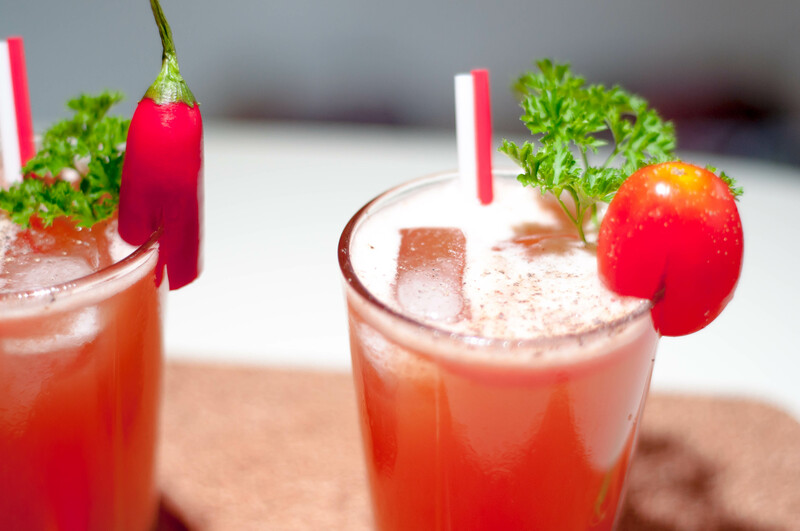 It’s a perfect brunch cocktail, almost resembling a boozy gazpacho soup. 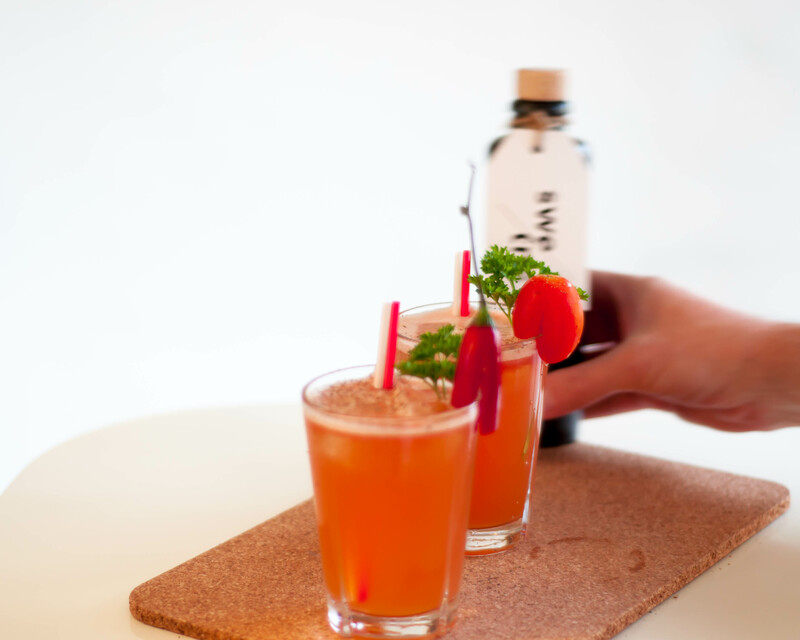 You drink it with a straw though, and that vodka in it will have a different effect on you compared to gazpacho – just saying. 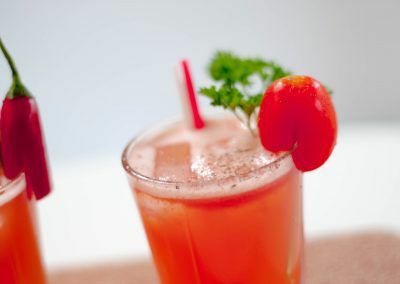 Start by muddling the first five ingredients, and then shake them with ice. 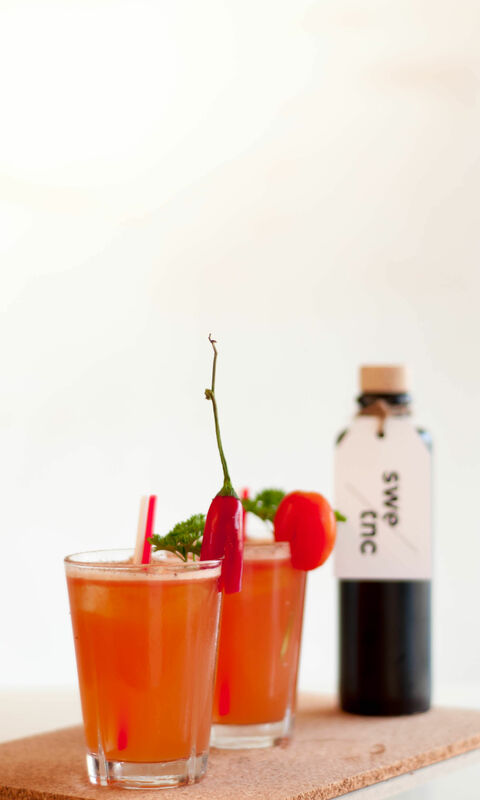 Strain into desired glassware and top up with tonic water. 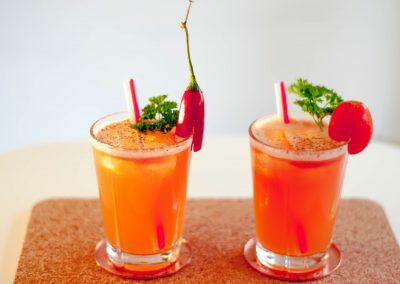 Add a few dashes of celery bitters on the top of the drink, and optionally sprinkle some black pepper.